Sustainable Sue acquired a Masters Degree in Sustainable Development before there was such a thing, then worked in the field for many years. 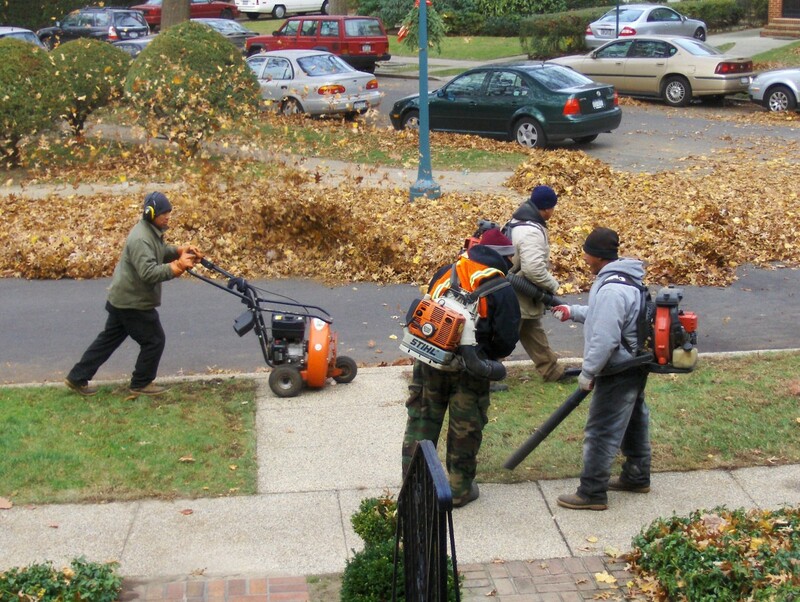 Leaf blowers are one of many annoying loud-noise producers in quiet neighborhoods, especially early in the morning. Leaf blowers powered by gas are the worst. Thankfully, due to sustained citizen protest, many cities across the nation have passed ordinances that either make gas-powered leaf blowers illegal or restrict their use. This is a boon to those of us who work at home or take care of small children, for whom shutting windows and doors is not enough to block out the incredible noise produced by these machines. Thankfully, there are many alternatives to using gas-powered leaf blowers, some of which are healthier for the environment and/or the homeowner too. Here are some of the alternatives, followed by the case against gas-powered leaf blowers. One of the best things homeowners can do for their neighborhoods is to start using an alternative method of dealing with leaves, other than gas powered leaf blowers (to set an example), then share the results with the neighbors. Here are several alternatives to choose from, with their pros and cons. 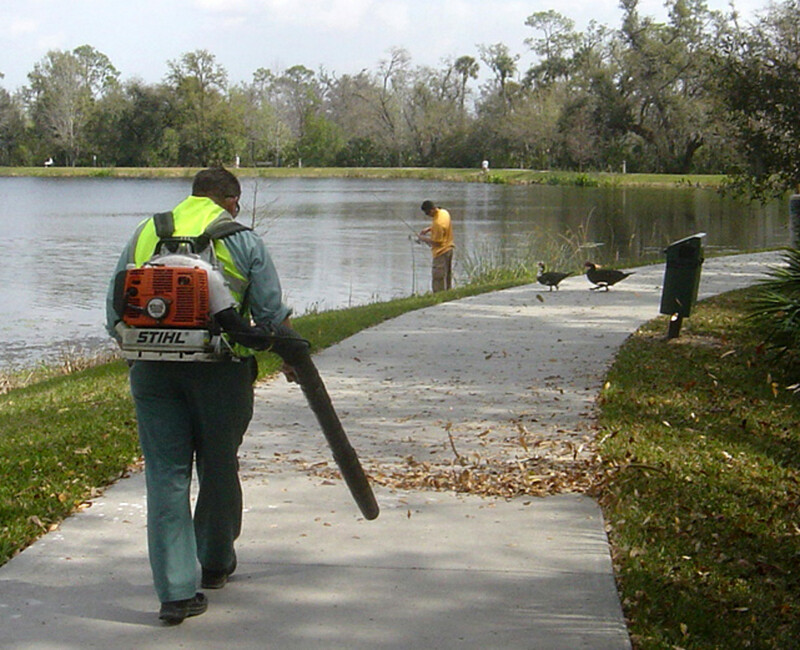 Electric Leaf Blowers: By replacing the use of gas, electric leaf blowers preserve air quality by reducing toxic pollutants that result from gas exhaust. They are also somewhat quieter. They do use electricity, however, and are limited by the length of the electric cord, typically 100 ft. Hence, they raise the electric bill and are only good for small landscapes, not large ones. Electric Leaf Vacuum/Mulchers: The air blow from some leaf blowers is directional and can be reversed to become a vacuum, instead. The vacuum has an attachment that catches and mulches leaves as they are sucked up. It gives great control over placement of leaves, eliminates exhaust and particulate air pollution problems, and is reportedly 50-70% quieter than gas-powered leaf blowers. It still uses electricity, however, so is difficult to use for larger landscapes. Rake and Broom: This solution is the quietest of the alternatives and gives complete control over placement of leaves (barring strong winds). It also provides good exercise for arms, back, and chest muscles, so you have to be (or want to be) in good physical shape. 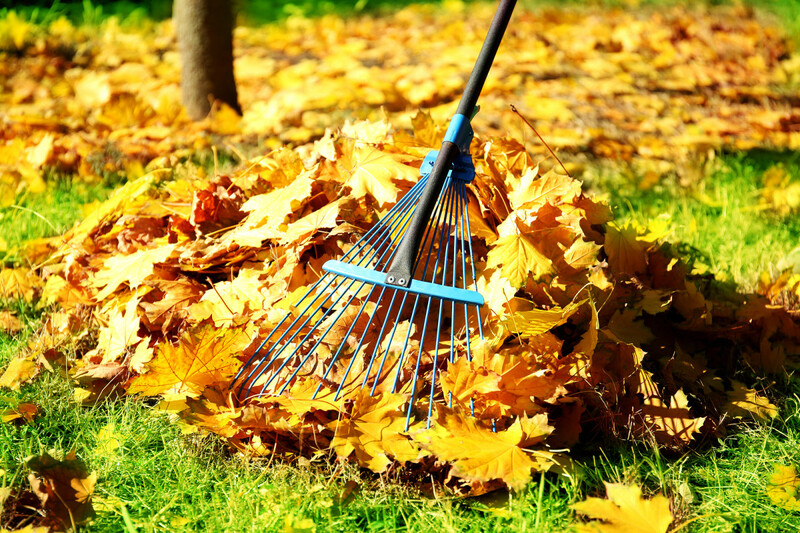 Some people have tested the actual time it takes to clear leaves with a rake and broom and have said there is no difference, while others say it takes longer than using a blower. 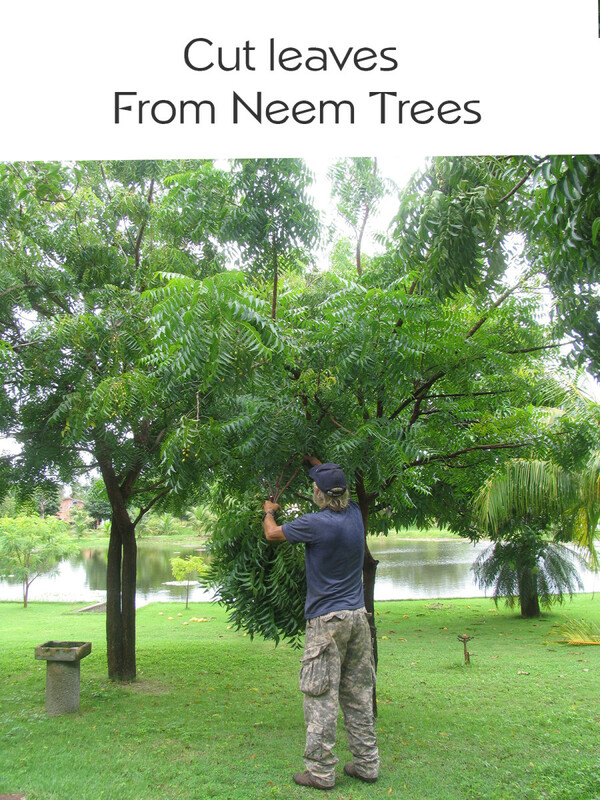 This solution is great for small landscapes, but not large ones. Yard Sweepers: Hand-powered sweepers with a debris catch basin are quiet and pollution free. They take less energy than the rake and broom method, but are equally as effective. Most can be used on both concrete and grass. Home Depot sells a Gleason brand sweeper, and Ace Hardware sells sweepers too, as does Amazon. Cons? You still have to push the thing. If you're not physically fit enough to rake and don't want to leave your leaves to nourish the soil or protect wildlife, you might consider using a push lawn sweeper. It still takes some energy, but not as much as raking. The bag collects leaves and other debris. 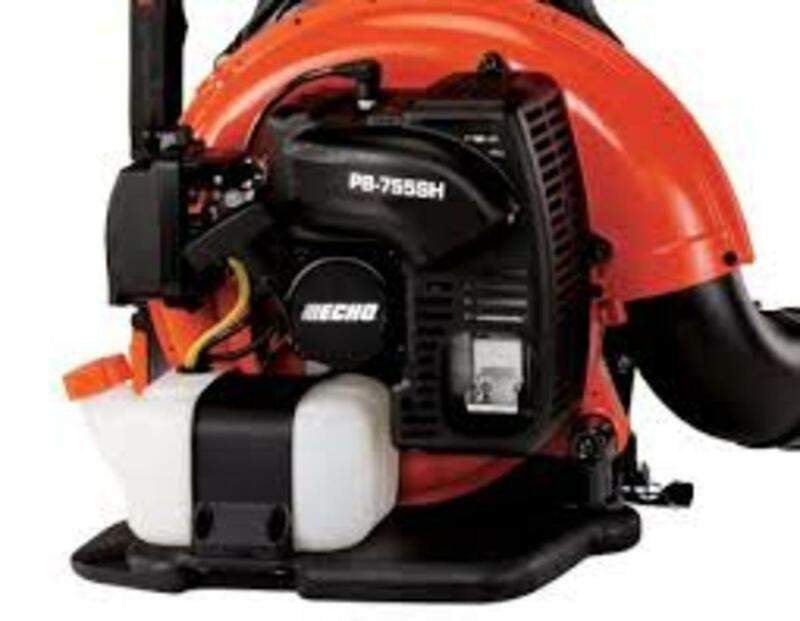 Lawnmowers: Many lawnmowers also have the ability to mulch and vacuum leaves and small yard debris. 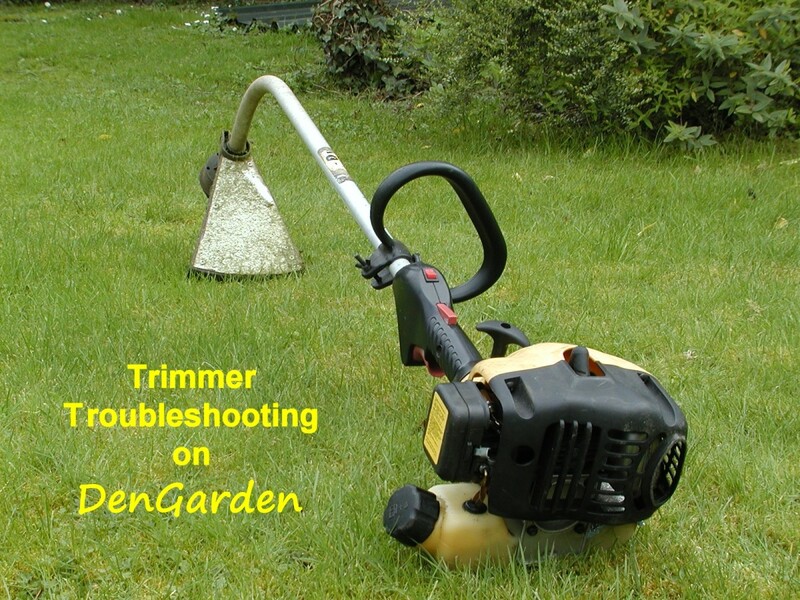 This alternative is great for nourishing the lawn with natural mulch. There are both electric and hand propulsion mowers that do not pollute the air, are much quieter than leaf blowers, and are often cheaper too. One company is making a specially shaped, large bag for leaf collection that fits all motorized lawn mowers. Many homeowners use the rationale that it's unsightly to leave mulch on the lawn, no matter how healthy it is for the lawn. If they/you really don't like the noise and smell of gas, though, isn't the temporary unsightliness worth it? Even landscape maintenance companies don't like changing habits, and will often resist a homeowner's attempts to get them to stop using gas-powered blowers. Homeowners can counteract that by buying a mulching lawnmower of their own and requiring the landscaper/s to use it as part of the contract. No, seriously. . . . the best thing to do with your leaves may be to forget about raking and bagging, and simply go over them with a lawnmower from time to time. According to community action group, Citizen for a Quieter Sacramento, leaf blower noise "interferes with communication, sleep, and work. The U.S. EPA says the noise degrades quality of life by impairing communication and social interaction; reducing the accuracy of work, particularly complex tasks; and creating stressful levels of frustration and aggravation that last even when the noise has ceased." Not only is this type of leaf blower noisy, but it also puts out more carbon emissions than a car driving 100 miles . . . only all in one small space. Sacramento's city plan states that the maximum noise level of any machine used in a residential neighborhood must be 60 decibels. At the time those restrictions were passed, gas-powered leaf blowers alone measured 70-75 decibels from 50 feet away and even more close up. In neighborhoods where gardeners do their work all on the same day the noise level can be extremely high, with gas-powered leaf blowers, lawn mowers, and chain saws going all at once up and down the street. Acoustics experts have stated that this particular type of noise is especially irritating because of its pitch, changing amplitude, and the inability of the hearer to control it. In addition to impairing their hearing over time, the often toxic dust raised with leaf blowing endangers the health of residents and the gardeners themselves when they breathe it in. According to the Lung Association, a leaf blower causes as much air pollution as 17 cars. The pollution includes lead and elemental carbon picked up off the sidewalks and streets, both toxic to the human body. And it includes gas exhaust that releases carbon monoxide and nitrous oxide into the air, also both toxic. In 2002 the California Air Quality Management Board was concerned enough that it developed an annual program, still ongoing, to help gardeners exchange gas-powered leaf blowers for electrical ones. 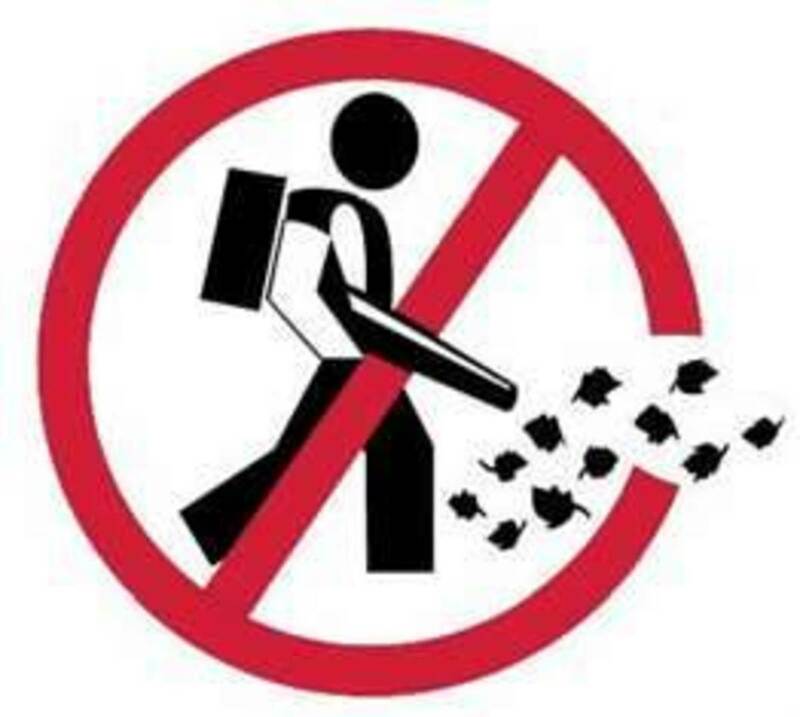 The US Environmental Protection Agency advises citizens to avoid the use of leaf blowers altogether, if they can. How did leaf blowers get started in the first place? They were originally introduced into the United States in the 1950s as part of an agricultural chemical spraying operation, which had nothing to do with leaf blowing. 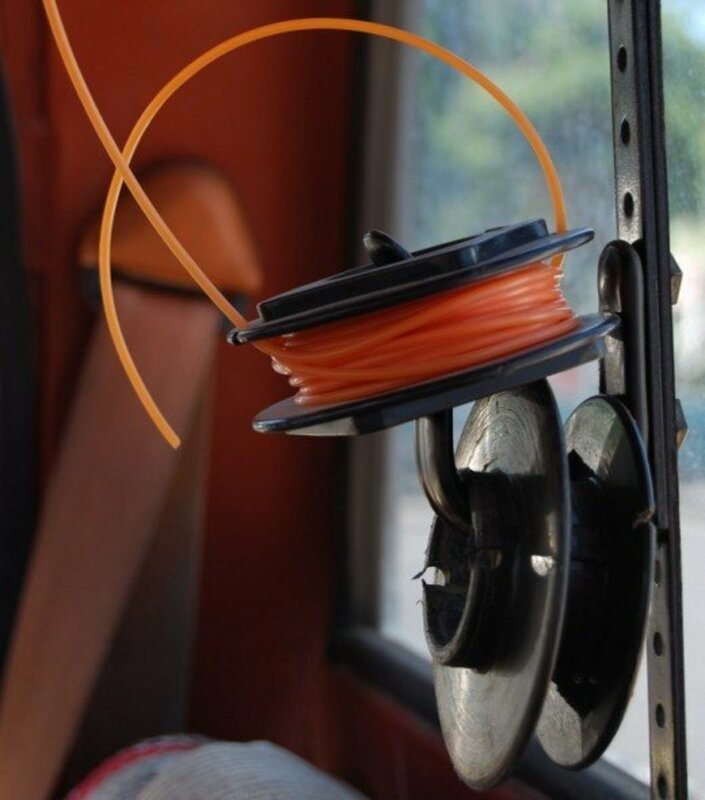 Manufacturers soon discovered that users were removing the chemical disbursement parts of the machine and just using the blowers. They quickly capitalized on that observation - modifying the product, changing what they called it, and promoting its use as a common gardening tool. By 1990 manufacturers were selling over 800,000 leaf blowers in the United States alone. Then drought hit and leaf blowers replaced using water to wash down leaves. Now the number is more like 1.5 million blowers. Even before 1990, though, cities had begun banning the use of leaf blowers, because of the level of noise they produced. Carmel, California (in 1975) and Beverly Hills, California (in 1978) were the first to ban. Another 80 cities across the nation had ordinances either banning the equipment outright, or restricting usage or noise levels. Even states have considered banning them (Hawaii, Arizona, and New Jersey). "Nationwide, two states, Arizona and New Jersey, have considered laws at the state level, and five other states have at least one city with a leaf blower ordinance." Since then, over 400 cities in California alone have banned or restricted the use of gas-powered leaf blowers in residential neighborhoods, according to Noise Free America. In most cases, bans appear to have been successful, with enforcement that depends on citizens reporting gardeners who use noisy leaf blowers. 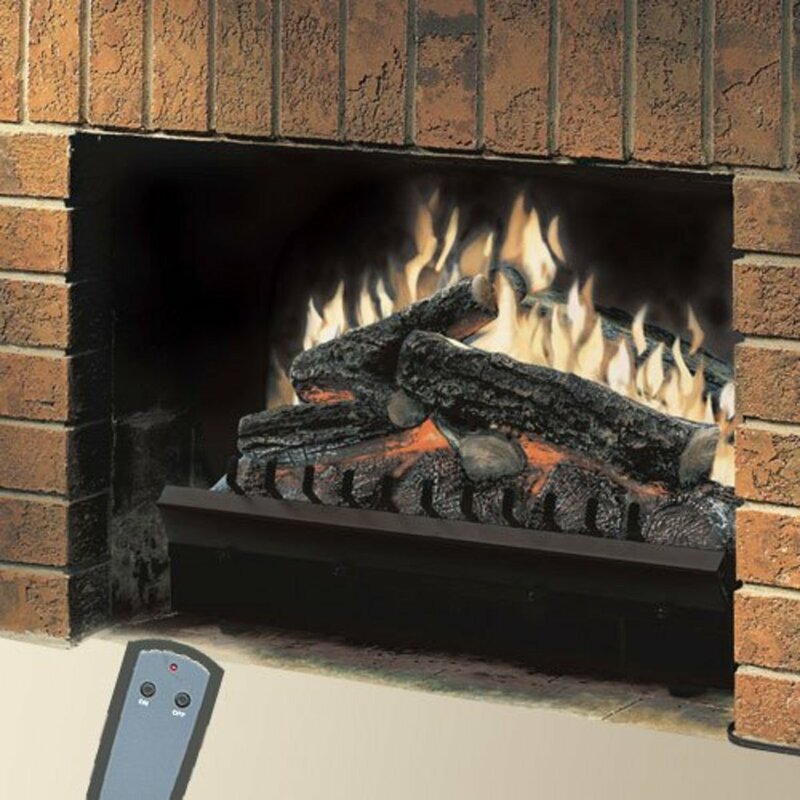 "No gas-powered blower shall be used within 500 feet of a residence at anytime. Both the user of such a blower as well as the individual who contracted for the services of the user if any, shall be subject to the requirements of and penalty provisions for this ordinance. Violation of the provisions of this subsection shall be punishable as an infraction in an amount not to exceed One Hundred Dollars($100)." Ordinances that restrict, rather than forbid use, usually require equipment with noise levels below 65 decibels (check the rating on the machine), with all sound-suppression parts intact, and run only during the main working hours of the day. Gardeners are not allowed to blow debris onto a neighbor's property and blowers cannot be strong enough to blow debris into residents' windows or doors. Wear eye and ear protection and avoid loose clothing, scarves or neck chains. Check the equipment's muffler, air intakes and air filters before operation to make sure they are working properly. Operate leaf blowers in residential areas only at reasonable hours (check local ordinances for time limit restrictions); never early in the morning, late at night or on Sundays. Limit the number of leaf blowers being used at once on small residential sites. This will keep the noise level to a minimum. Minimize the high-pitched whine by running the blower at the lowest possible throttle speed to do the job. Lower speeds reduce sound and give the operator maximum control. Full throttle is seldom necessary. Use the full nozzle extension so the air stream is directed close to the ground to minimize dust. Pay close attention to the generation of dust. 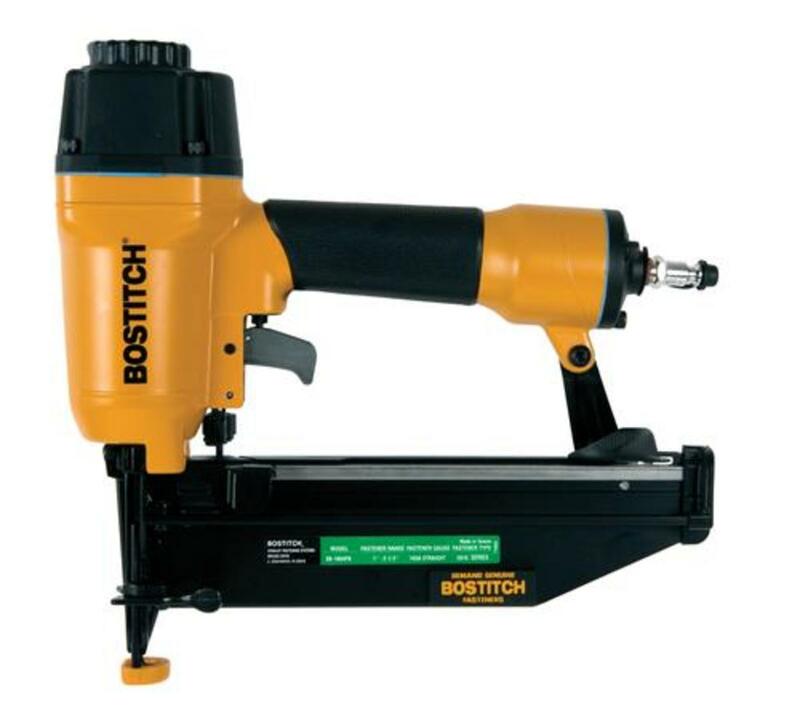 In dusty conditions, use mister attachments to slightly dampen surfaces. To clean an excessively dusty area, use a shovel to pick up the large debris and do your final cleanup with water. Keep debris away from neighbors' yards, the street, vehicles, people or pets. 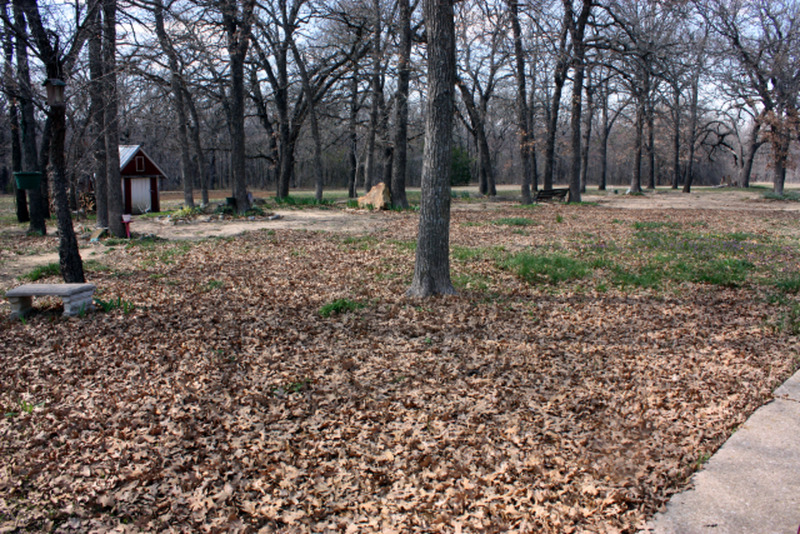 Don't use leaf blowers to move large debris piles from one spot to another. Clean up after using blowers. Dispose of debris in trash receptacles or haul it away. Don't wait for complaints to change your behaviors. Those who live in an apartment or condo complex where gardeners use loud, gas-powered equipment can send the manager a copy of the city's noise ordinance, along with this article (or another like it). That way, in addition to a complaint from you, they will also have valuable information they can use to resolve the problem. "All landscaping contractors, gardeners or groundskeepers that work on this property are now required to use electric (cordless or corded) leaf blowers. Outlets are available throughout the property. For every month that use of gas-powered leaf blowers persists, $100 will be deducted from the contract payment." Come springtime, suburban neighborhoods vibrate with the hum of lawn mowers, edgers, trimmers and leaf blowers. It's not nearly as quiet as most suburbanites would like . . . and the worst culprit: Leaf blowers. “I kissed goodbye the howling beast on the borderline which separated you from me.” – Bob Dylan, Idiot Wind. Electric blowers work with an extension cord that you usually have to buy yourself, as I'm sure you know, which limits the yard size you can blow. The longest you can buy, safely, is 100 ft. Even then, power starts to drop with that distance. Toro has just released a stronger version of blower. As of last fall you can get one with variable blow speeds that can go up to 140 mph, which helps in regions that have a ton of heavy, wet leaves in fall. Black & Decker has a portable one that's battery operated, if you have a large yard with not too many leaves. Sun Joe's leaf mulcher is something to look at too. It's a walk-behind machine that mulches leaves into small bits as you walk. It's still has to plug in though. Raking as an alternative to a leaf blower is like saying walking is an alternative to driving. It’s true but not really if you have a yard of any size. I was really hoping you had done some research on electric blowers as most are way to weak to do the job of yard clearing. What I find most irritating is when leaf blowers are used with hardly any debris on the ground. That would drive me crazy, Jason. Have you checked your local ordinances to see if it's worth sending in a complaint? I live in a suburb of Columbus, OH. The guy across the street does the entire property with an industrial, gas-powered (and REALLY loud) blower and always takes over an hour (gotta get every dirty leaf into his neighbors' yard!). As if that wasn't enough, the guy next door has a smaller electric blower BUT he does the entire carport/driveway area on Sunday mornings and takes forever (and we're in townhouse apartments - so it's not even his property!!). Between the two of them and the bi-weekly lawn crew, I can barely stand the noise/sneezing!!! I'm driving a school bus for special needs kids now. I have to be careful not to open the door when the leafblowers are out. That stuff is all in the air in the street. One neighbor down the street has their yard work done, including 'clean up' with a leaf blower. By the end of the day, all the cars in the area are covered with dirt. That's just dumb. "Liberals"? (lol) I'm a singer. My ears are sensitive to sound. Blowers hurt my ears a lot more than rakes do, unless the raking is on concrete (which usually doesn't last long and they could as easily use a broom). Also, have you ever used a rake on a medium sized lawn? It takes about as long as a blower does. It's just a little harder on the muscles, is all. I'd rather listen to a blower than constant raking which will take hours instead of minutes. Liberals are insane. Or shoving everything into the closet, hoping no one will notice. You're right, Jeffrey. And that's after it's woken up all the neighbors, 'cause they usually do it early in the morning (droll lol). It just blows my mind though that leaf blowers never even accomplish anything... so what's the point to begin with? Blow your leaves to your neighbors lawn? In the street? The leaves in your yard are a MESS and like any mess it needs to be cleaned up. Using a leaf blower is the outdoor equivalent to just cleaning your house by throwing the mess from one side of the living room to another, from one room to another, etc. I have added a sidebar showing the quote I referred to. Note that the article says NJ considered a state ban, not that they actually passed one. Whoever you talked to in the legislature may have not been around in the '90s. I called the legislation in NJ today July 11, 2013 and they did not have any info on the entire state banning leaf blowers. Where did you get your info? So true, rbm. I love what I've seen of permaculture - it makes so much sense. Found out today I have a friend in New Mexico who will be supporting farmers in switching over. I'm envious! I never understood the point of a leaf blower. Picking up a rake works just fine and is good exercise. And Mother Nature does the rest. And in my opinion, the whole idea of the "perfectly manicured lawn and curb" is misguided anyhow. It's as unnatural as our monoculture fields in commercial agriculture. Time to embrace principles like permaculture and live in harmony with nature. That would drive me crazy, Mr.B. I totally feel for you. I'd say there are bigger things to worry about then leaf blowers when it comes to pollution. Thanks Krystal. I sometimes think people aren't aware of the power they have when they choose what to buy. Marketers are forever looking to see how sales translate into customer interests and preferences. Some companies use the info to manipulate their promotional campaigns, but others use it to choose or even create new products to sell. I agree with you completely, Susan. The response of one of my brothers to this article was, "I LOVE leaf blowers!" He apparently uses them to blow leaves out of the gutters. His wife and I then had an email discussion about men and their phallic toys (lol - no offense to any of you guys out there). My brother did concede fairly quickly that leaf blowers don't have to be gas-powered to be effective. Gas leaf blowers are banned in Los Angeles. They are illegal to use. And, operators and their employers can both be cited for using them. The law has been on the books for more than 40 years. Most leaf blower companies now put decibels levels on their product. That is something that should be considered when buying one. But why buy one when they really have no use. All they do is blow dust into the air making allergy suffers suffer more. And, their noise is unbareable. Bottom line: Ban all leaf blowers. They serve no purpose. The noise is unbareable.